We’re just steps away from the white sands and breathtaking sunsets of Waikiki Beach. Come see why our modern accommodations and phenomenal location on Kalakaua Avenue across from Kuhio Beach Park captures the heart of every guest and is the best choice for Waikiki hotels. Exclusive access to Scenic panoramic ocean views, continental breakfast and sunset reception. 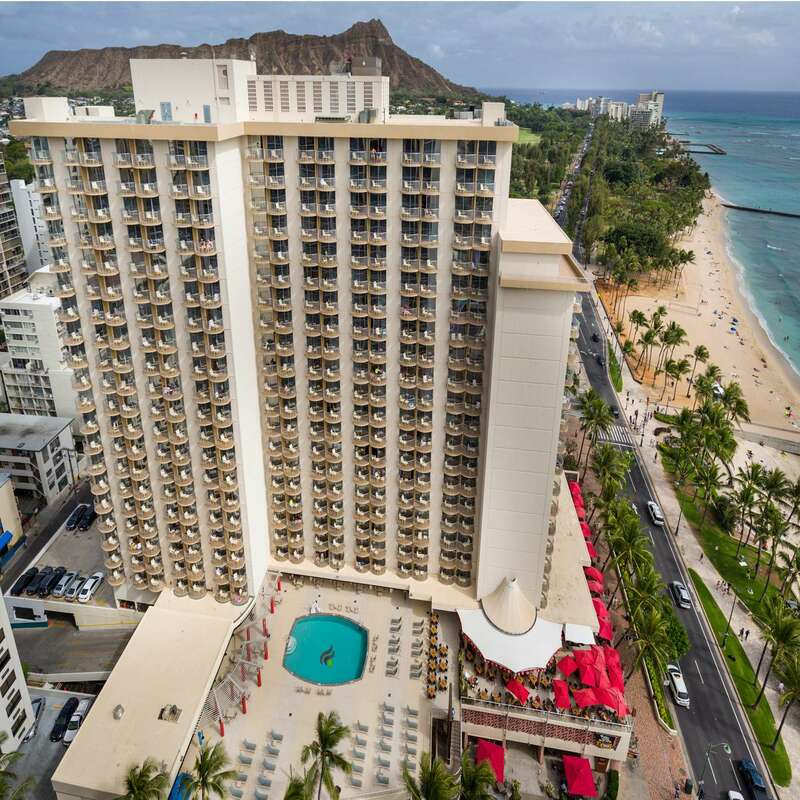 Situated on the quiet Diamond Head side of Waikiki, our hotel is a mellow gateway to all the action. Be in the know. Learn more about Honolulu culture, local cuisine, nightlife, outdoor activities, and shopping. An iconic dining experience in Waikiki, Tiki’s Grill & Bar offers breakfast, lunch and dinner in a casual atmosphere with outdoor lanai dining. Tiki’s uses local and sustainable ingredients and partners with local farmers to bring patrons fresh and exciting Pacific Rim dishes. You’ll also find that Tiki’s hosts weekly events, features live music and offers daily tropical drink specials. This neighborhood gem is located on the second floor of the hotel.